A group of Russian and Chinese smugglers have been arrested near the border between the two countries in possession of a tonne of bear paws as well as tiger, deer and frog parts, an animal protection group said Tuesday. 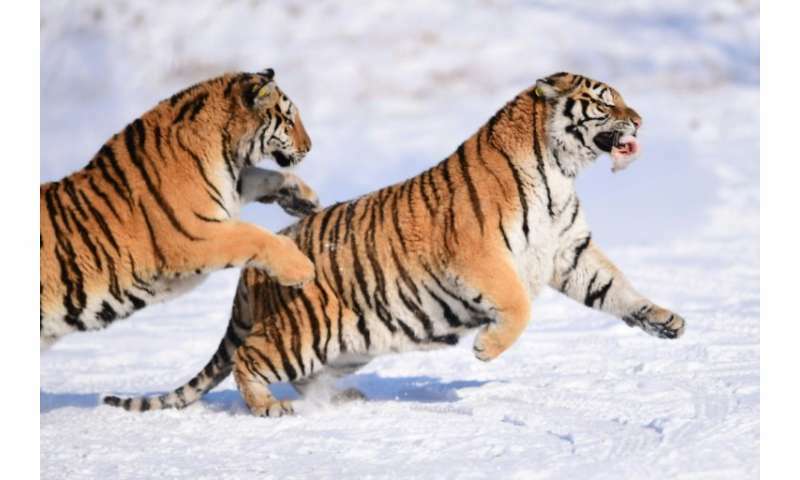 The smugglers were arrested at the weekend by Russian customs officers in the far east of the country with 870 of the bear paws "and the remains of at least four Siberian tigers" in their three vehicles, said the Russian tiger protection NGO. The Russian and Chinese nationals were also caught with bear teeth, deer tails and penises and other animal parts as well as arms and ammunition and an amount of amber, the Amur Tiger Center said. According to the tiger protection group, the smugglers were headed for China when they were apprehended, and were preparing to cross the frozen Lake Khanka on the border. China is a big market for animals parts from endangered or protected species including tigers, bears, elephants, rhino and pangolins. The parts are used in the traditional medicine market which flourishes despite the total lack of scientific evidence as to their efficacy and Chinese government campaigns to end the trade. "The animal body parts are often transported close to Chinese New Year," which this year falls on February 16, the NGO's head Sergey Aramilev said. The Siberian tiger, also known as the Amur tiger, is the largest of the big cats. There remain only around 350 of the animals in the wild, in China, Russia and North Korea.